Homemade broccoli macaroni and cheese is a recipe every one should know how to make! If you enjoy eating mac and cheese, and who doesn’t, this is a recipe you’ve got to try! It’s perfect for weeknight dinners, bringing to a friend, or serving to the whole family! 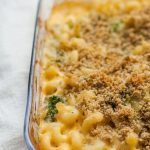 This homemade broccoli macaroni and cheese is made with corkscrew pasta, homemade cheese sauce, broccoli and finished with a bread crumb topping. This post is a part of my series on bringing meals to others. This Broccoli Macaroni and Cheese is the dish I bring to people most often when I bring a meal over. It’s classic, creamy and comforting. 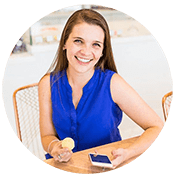 This series is all about bringing meals to people who are going through a transitional or tough time. For more information on the series and to see all of my recipes you can bring to others, visit this page. Macaroni and Cheese. It’s one of two things I pretty much cannot turn down (the other being Chick-Fil-A). The truth behind that statement is that I grew up and lived off of Kraft Mac & Cheese. Something my grandmother loves to remind me of. I think my mom is just glad I didn’t turn into macaroni and cheese. 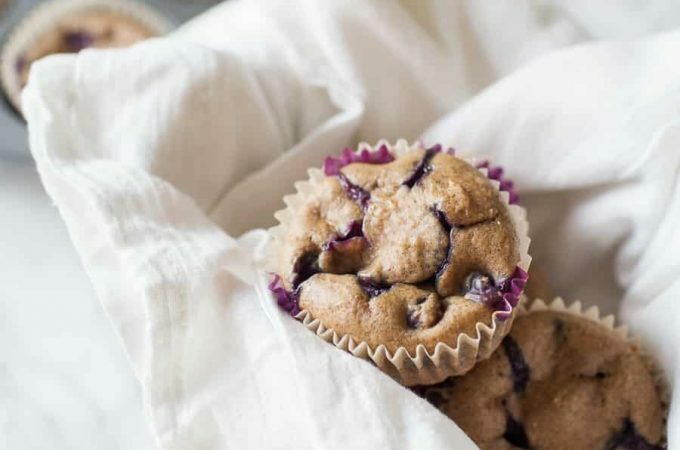 Even though it’s not what I eat every night anymore (thankfully), it’s still one of my number one comfort foods and consequentially, it’s one of the number one things I love to bring to people, so it feels pretty natural that this (updated) recipe would be the first I’d share during this maternity leave. It turns out that macaroni and cheese is one of those things I didn’t think I could make homemade. I mean, we can’t compete with Kraft mac and cheese, of course 😉 but we certainly can try. Homemade macaroni and cheese is actually just about as simple as making an pasta dish at home. Making the cheese sauce is really easy and after making it for a few years now I found an even easier and more fool proof way to make it. This is one of my favorite meals to bring to others because it’s comforting but it’s also easy to change up. I love adding some pan grilled chicken to make this a complete meal or leaving the broccoli on the side so people can make their own macaroni and cheese creations. You could add tons of extra fixin’s to really spruce up this dish if you want or leave it as is because I promise it’s good just as it is. The real reason I love bringing this to people may be that it’s so easy to double and have dinner ready for my family too. To make enough to fill a 9×13 pan you only use half of a box of pasta, so I usually will just double that and double the sauce and broccoli portion, split it between two pans and dinner is totally ready! 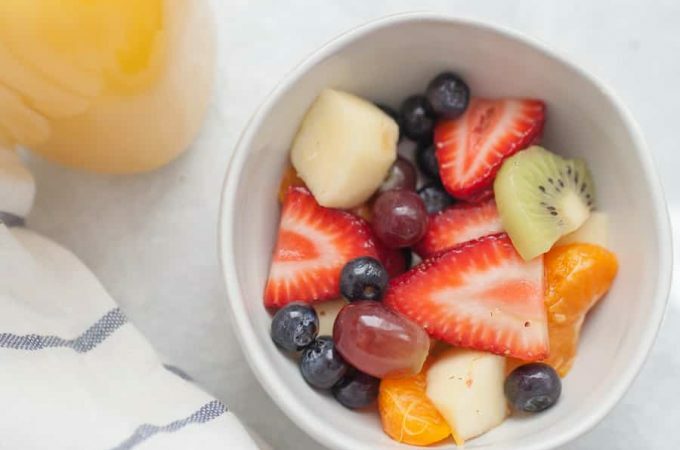 If you want to make this dish even better when you bring it to someone, include a bag of salad, some bakery rolls, a pan of brownies or chocolate chip cookies! Just a few fun ideas that are easy to grab when you get your supplies for this recipe. Ready to make your own Broccoli Macaroni and Cheese? 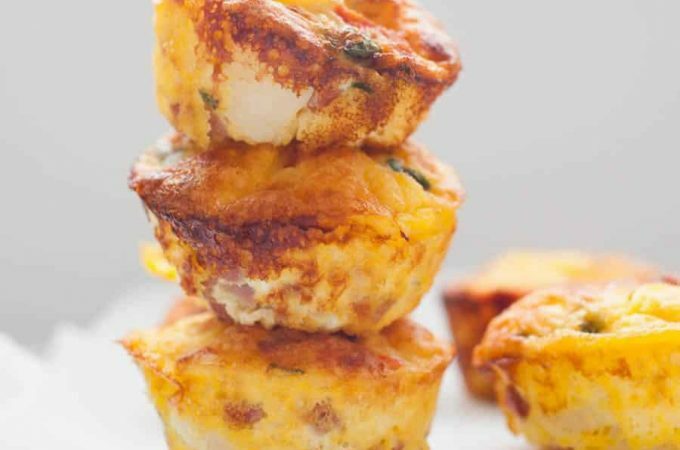 If you make this recipe or you’re thinking about making this recipe, please leave a comment and rating below to let me know! 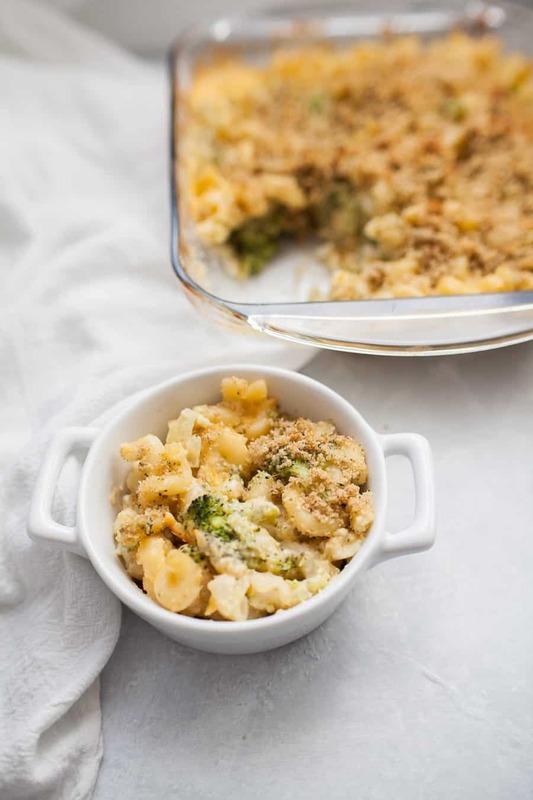 Homemade broccoli baked macaroni and cheese is a recipe every one should know how to make! If you enjoy eating mac and cheese, and who doesn’t, this is a recipe you’ve got to try! It’s perfect for weeknight dinners, bringing to a friend, or serving to the whole family! 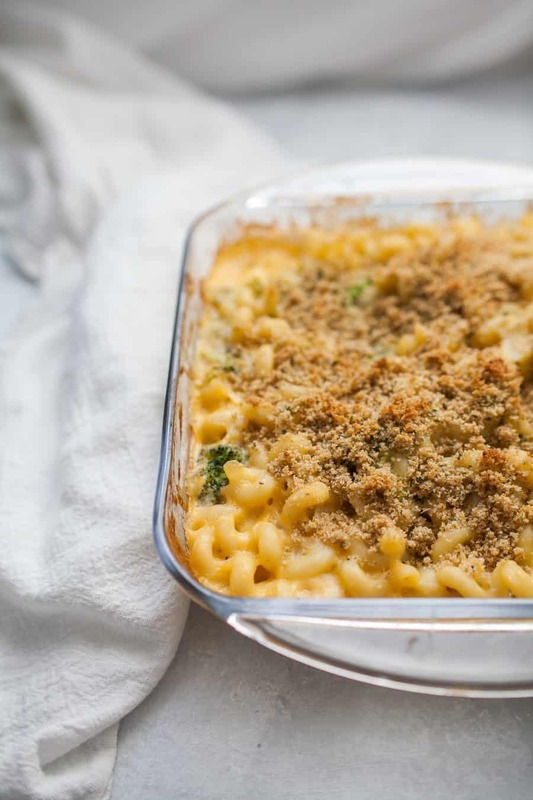 This homemade broccoli macaroni and cheese is made with corkscrew pasta, homemade cheese sauce, broccoli and finished with a bread crumb topping. Add broccoli to water for last 3 minutes. Drain pasta and broccoli when complete. Set aside. In same saucepan, heat up butter and sauté onions until translucent. Then add flour to pan and stir to coat onions. Once flour is mostly dissolved, pour in milk. Bring to a boil over medium-high heat, whisking frequently. Reduce heat to low and simmer until thickened, about 2 minutes. Remove from heat and whisk in cheddar cheese, mustard, salt and pepper. Pour over cooked, drained pasta and broccoli. Toss to mix and coat. Combine melted butter and bread crumbs until bread crumbs have absorbed the butter. Feel free to add extra bread crumbs if the mixture seems too wet. Pour bread crumb mixture on top of noodles, covering as much as possible. 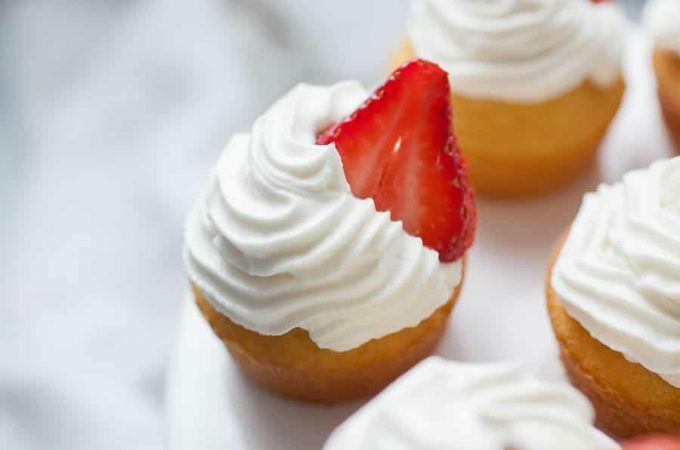 Bake until bubbly at edges, 20-25 minutes. I totally approve of that plan!! Oh, Madison, this looks INCREDIBLE. 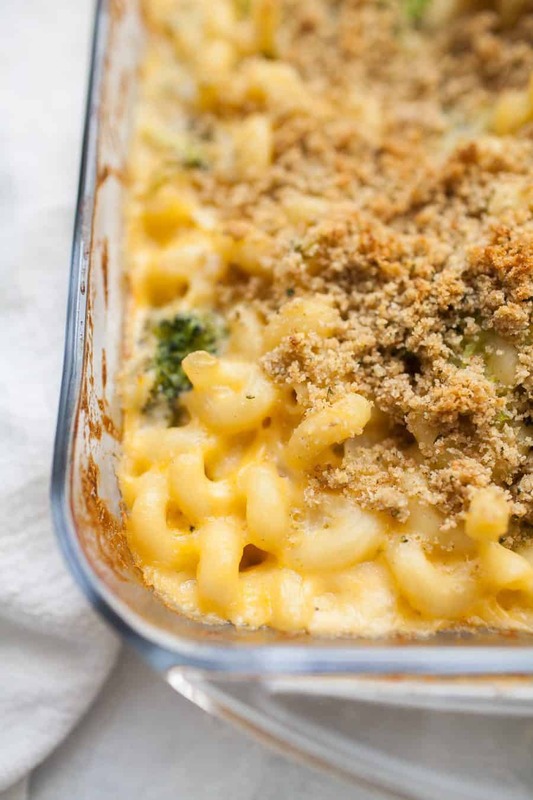 I’m all about some mac ‘n cheese these days, and I cannot wait to make this… for dinner tonight!